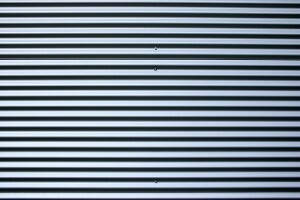 Suitable for industrial, agricultural and domestic situations; galvanised corrugated sheets are an affordable and effective option A concern for some when using corrugated sheeting, is the noise in incline weather conditions, yet in truth it is no louder than other popular roofing materials. Properly installed sheets last a life time and are resistant to rust, fading and insects. Along with outstanding durability, galvanised corrugates sheeting is extremely competitive on price, a surface, such as corrugated roofing can last up to twice as long as other competing materials. Throughout the lifetime of galvanised corrugating sheets, there is very little maintenance required, making it a simple and cost effective choice over long periods of time. Another key benefit of corrugating sheets is how overall lightweight the material is. This makes it a quick and easy process to install it. For more on galvanised corrugated sheeting, sizes, cutting and advice; visit a Boys & Boden store today to speak with the helpful staff and see the extensive range available.